Our flight landed early in the morning. We had arranged with the hotel beforehand to have a car pick us up. The price seemed reasonable (around 50 Euro if I remember right which made it about $65 at the time with the exchange rate.) We were okay with the cost because we didn’t want to have to worry that a local taxi would take us for a much longer and more expensive ride. The airport was huge but well organized. We picked up our luggage with no issue and found our driver waiting outside with a sign that had our names on it. This was a funky new experience for me since I used to be the one holding the sign. I had spent the last four years as a driver for a company that shuttled people to and from the airport. He greeted us with a smile and led us to a very nice black Mercedes. As silly as it may seem this is the first picture I took in Rome. 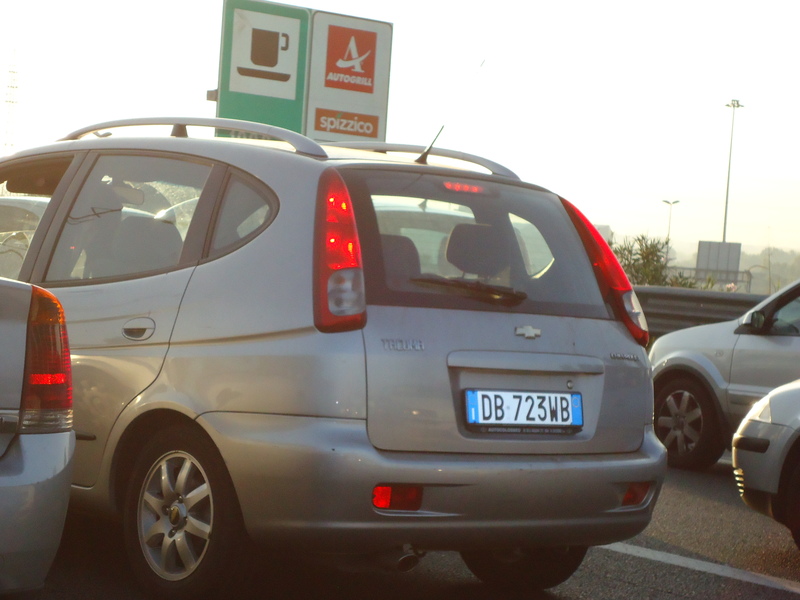 We sat in heavy traffic after we left the airport since it was rush hour on a weekday, which makes sense, it may be Rome but people still had to go to work. The traffic didn’t bother me though because it meant that it gave me more time to look around and talk with our driver. His English wasn’t great but we got by. Soon we arrived inside the city and everything got a bit overwhelming. I had been looking at maps of the city for months at this point but seeing it in person was a bit disorienting and overwhelming. After a few minutes of trying to figure out where we were on the map I just sat back and enjoyed the sights and sounds of this ancient place. Boston is said to be one of the worst places to drive in all of the US and I’ve done it often for most of my adult life. 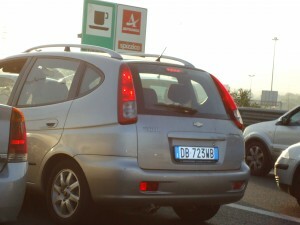 I heard that Rome too is feared by most drivers and after sitting in the traffic I can say that I’m not surprised. The amount of scooters and small motorcycles zooming in and out of traffic seemed insane. 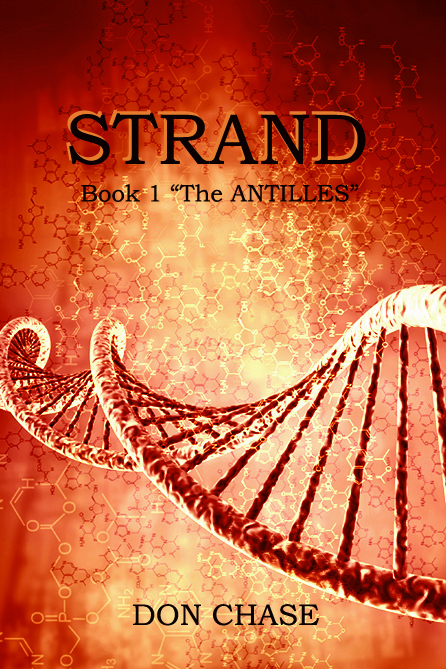 It all seemed very chaotic at first but began to form a strange pattern once you saw it that actually worked quite well and all the locals seemed to understand it as well. a lot of the side streets are also very narrow even by Boston standards but the locals navigate them just fine. 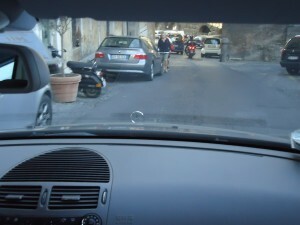 I do think our driver was trying to scare us some and have a bit of fun with us as he barreled down a tiny street that our hotel was on. I saw him smiling and watching us in the rear view as he sped down the tiny, two way cobblestone street. 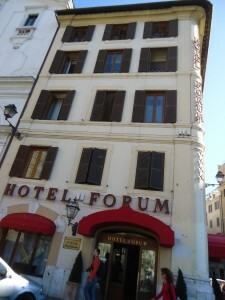 Our hotel, The hotel Forum was located at the end of the street on a corner just off one of the main streets in Rome called Via Cavour. It’s also located directly across from the ruins of the Roman forum. It’s small, old and a little pricey but the service is amazing, the views from our window were breathtaking and you couldn’t have asked for a better location! It was almost nine AM when we arrived and our room wasn’t ready yet but the clerk at the desk told us that we could leave our bags behind the counter where they would be safe if we wanted to wander around the city for a bit. He told us to check back in a couple hours and that he would work on getting us set up in a room as quickly as he could. We thanked him and decided to take our first walk and peek at Rome. The weather was crisp but not cold and the sun was bright and warming. You could tell that in a bit it was going to get very warm for someone who wasn’t surprised to see snow in late October. We walked up a small set of stairs, across a tiny plaza and then crossed a very busy Via Cavour at the intersection when the street ends at Via Dei Fori Imperiali. Once we were safely on the other side we walked maybe thirty yards before I saw where we were. Directly in front of me stood the Colosseum. I was giddy with excitement at being in such an ancient city. Well, that and I had been awake for almost thirty six hours at this point. We walked quickly down the street to get closer. We hadn’t planned on going into it at this point. This walk was very impromptu and we figured we’d have plenty of time to come back. This is where my first bit of advice comes in. Be careful. It doesn’t matter if your exhausted, drunk or whatever, always be careful when traveling. 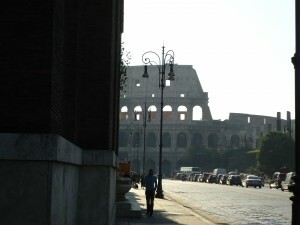 We stopped in front of the Colosseum to take some close up pictures and watch the line of tourists wait to get inside. I saw locals dressed as Roman Centurions and I wanted to get a picture. Here’s where I made my one and only mistake on this trip. I thought it would be fun if my wife was walking by them as I snapped a couple pictures. I knew they’d charge if we asked for some pictures and I wasn’t up for dropping money on that at the moment. I swear they must have some sort of tourist sense because they saw what was going on as soon as she stepped in their direction. They gathered around her and posed by her all smiling and saying hello. they seemed very friendly. 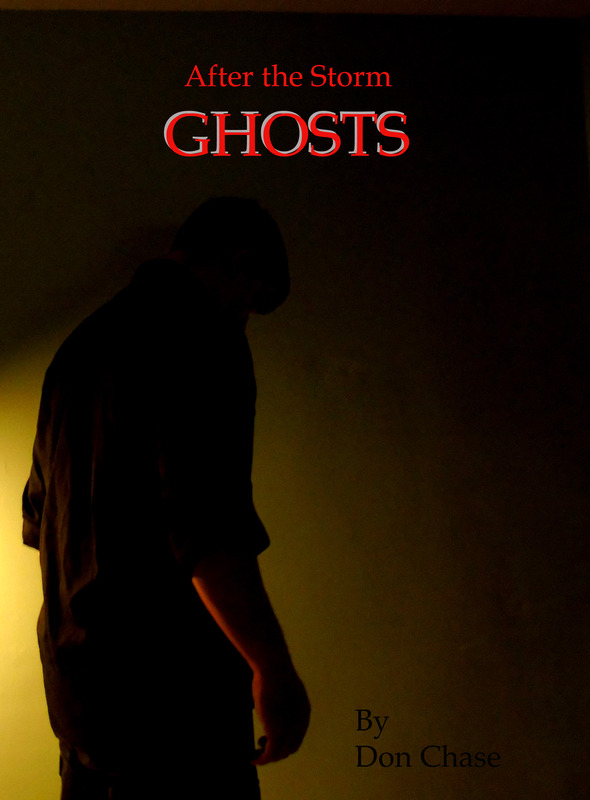 Then I heard a gruff voice next to me. I turned to see a younger Centurion smiling at me, he asked where I was from and when I told him Boston his face lit up and he did a very bad impression of the wrestler Jon Cena, saying “You can’t see me,” over and over while laughing. He was tall, tanned and obviously loved spending time at the gym. In a flurry of broken English and hand gestures he motioned me toward my wife and told me to join her; that he would take pictures of us so I could be a part of it. I sighed heavily, realizing that I had been taken and dug into my pocket to get him his money. He had after all conned me fair and square. Handing over the bill I held out my hand for the camera. He smiled at me again and said, “Twenty Euro.” I looked at him and asked, “What? I just gave you 20.” He nodded toward my wife and repeated “Twenty Euro.” We didn’t really need to communicate any better than we were. He clearly wanted twenty from both of us since he had snapped two pictures, one for each of us. TIP: Be careful of scammers, they are bold in Europe. Be firm, watchful and aware of your surroundings and you should be just fine. Angry now I thought hard about just snatching my camera and telling him to screw. That’s when I noticed the cluster of local cops standing nearby. I knew this type of thing wasn’t illegal here but I wasn’t sure if putting up a fuss or refusing to pay was and the last thing I wanted to do was end up in a foreign prison for something so stupid my first time out of the country. 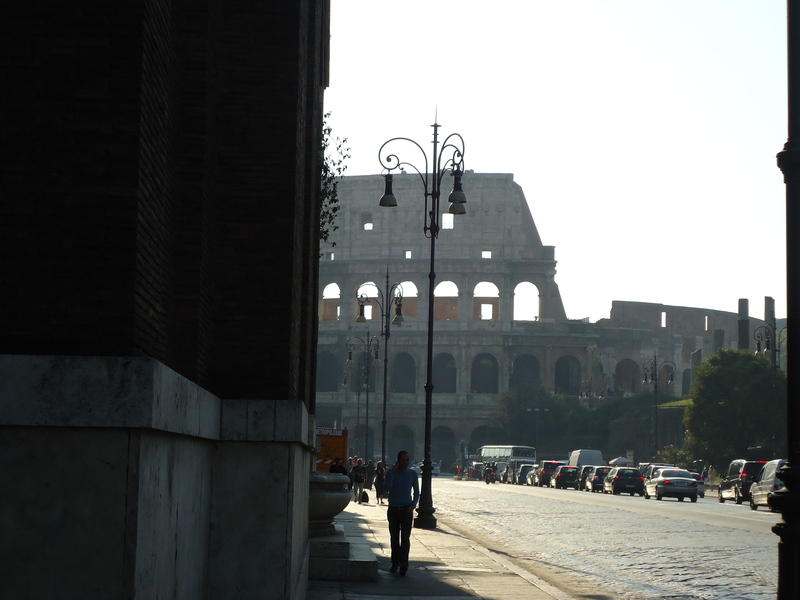 So with another heavy sigh I gave the Roman con man another twenty Euros and got my camera back. He thanked me and smiled before wandering off. My wife came up to me with a quizzical look on her face wondering what had just happened. I wasn’t one to usually get gotten and it seemed to confuse her. Once I explained about the cops nearby she seemed to understand a bit better. Plus it also gave her a chance to laugh at me a bit and gave her an “I told you so,” moment for the rest of her life. We were approached a number of times more in that morning alone and politely refused all offers from then on out. We wandered past the Arch de Tito and up an old hilly road that led to a dead end church at the top and back down before grabbing a quick bite to eat near our hotel. We ate cheap that day since I had blown forty Euro on two digital pictures and meandered back to our hotel. The desk clerk told us that our room was ready and that he had an upgrade for us that he didn’t charge us for because he thought we would enjoy the view better. We thanked him and rolled our luggage into the tiny old elevator up to the second floor to our room. We checked out the interior of the room first which was small but clean and cozy looking before we threw open the heavy wooden shutters to see what he was talking about. This was the view from our window. it perfectly overlooked the ruins of the old Roman Forum and made for a great sight to see every morning of our stay. We decided to take a short nap before heading out to explore more and quickly passed out for about three or four hours.